Olivier award nominated actress Hattie Morahan joins Anna Maxwell Martin, Rachael Stirling, Sophie Rundle and Julie Graham for four new episodes of the code-breaking thriller The Bletchley Circle, which made a welcome return to ITV in Janaury. 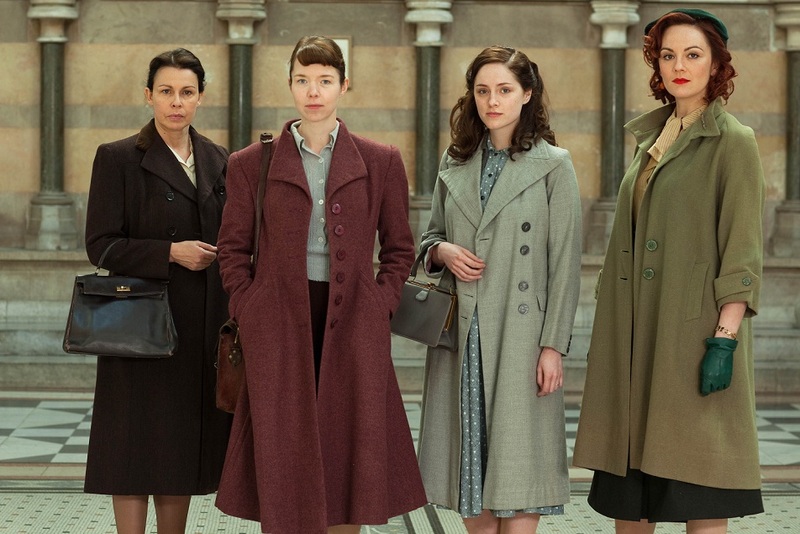 Set a year on from the first series in 1953, the ladies are reunited for their second case in the first two-part story when former Bletchley Park colleague, Alice Merren (Hattie Morahan) is accused of murder. Jean (Julie Graham) methodically sets to work examining the evidence and is intent on helping Alice after a distinguished scientist is discovered shot through the heart in the study of his home with Alice, gun in hand, standing over him.